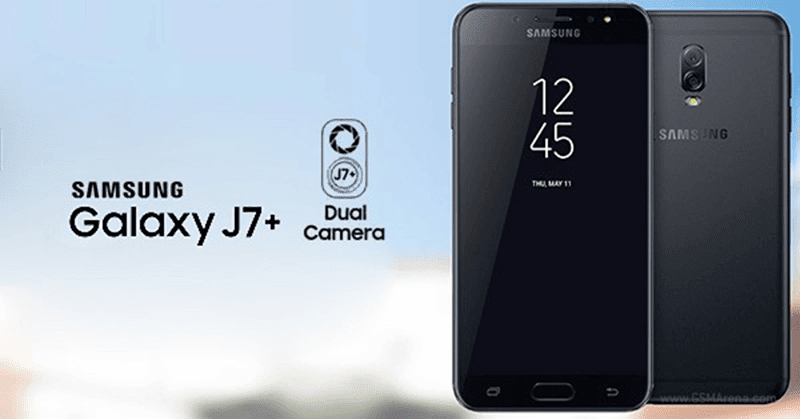 Samsung's Galaxy J7 (2017) and Galaxy J7 Pro has an interesting sibling, the Galaxy J7+, a seemingly capable midrange with Bixby button and dual camera setup. 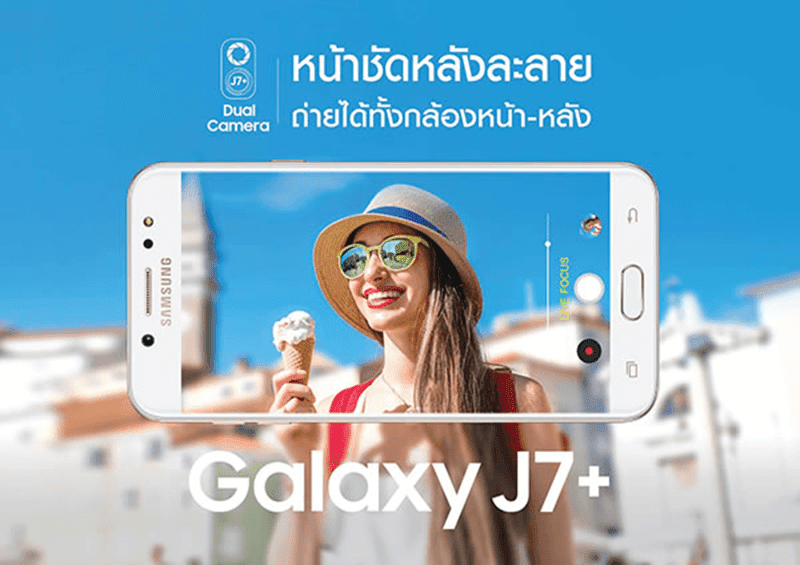 According to recent leaks from Thailand, the Samsung Galaxy J7+ will feature a 5.5 inch 1080p Super AMOLED screen, 64 bit Exynos 7870 octa core processor, 4 GB RAM, and 3,000 mAh of battery. The main highlight of the phone is it will be the next dual camera phone from Samsung after the Note 8. It will include a 13 MP f/1.7 sensor paired with a 5 MP f/1.9 secondary sensor. It will be capable of Samsung's Live Focus portrait mode like the Note 8 as well. In front, we don't know the selfie sensor yet, but it will have a dedicated flash. Moreover, this phone will be the first midranger Samsung phone with Bixby support and the dedicated Bixby button. It will feauture dual SIM slots too. The Samsung Galaxy J7+ will be available in black, gold and pink colors soon. We don't know the price yet.